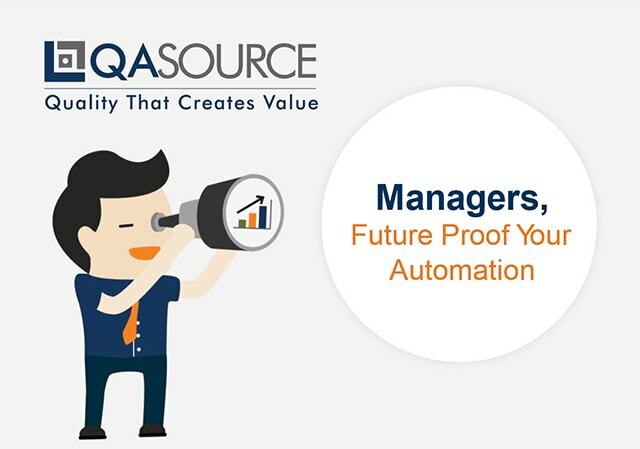 QASource, in conjunction with SauceLabs, presented a webinar titled, “Managers, Future Proof Your Automation.” With a future proof automation suite, you will have an automation suite that is able to adapt, is long-lasting and can be used by both your QA and development teams. Using their experience in automating tests for their clients, QASource has come up with 7 strategies to follow in order to create automation. Review your automation scope. When you review the scope of your automation, you will need to identify which tests can and cannot be automated. This is a basic concept, but scoping is very important for automating test scripts. Evaluate the best tools and technologies. In order to have a successful future proof automation, you will have to select the tool, programming language, framework type and automation model that will suit your product the best. Design future proof automation. The key point to remember for designing future proof automation is to design a framework for your automation that is modular and integrates well with the tools, technologies and language you have selected for your product. Create future proof test scripts. There are many aspects to consider when creating future proof test scripts, however, maintaining a controlled state of your tests, having independent tests and utilizing the tear down approach are the most important. Execute future proof test scripts. Typically, test scripts are executed on a single platform. If you want a future proof automation suite, you should do parallel executions, executing tests at the same time, but in different environments. Effectively report results of script execution. It is very important to develop an effective reporting strategy so you can catch problems early on and engineers can find causes of failure quickly. Effective reports also give means to measure the progress of your team. Implement a maintenance strategy. You will still need to maintain your automation, but implementing a future proof maintenance strategy will make it more effective. There are many components to a future proof maintenance strategy, such as a fail-over strategy, recover scenarios, script triaging and flaky tests management. 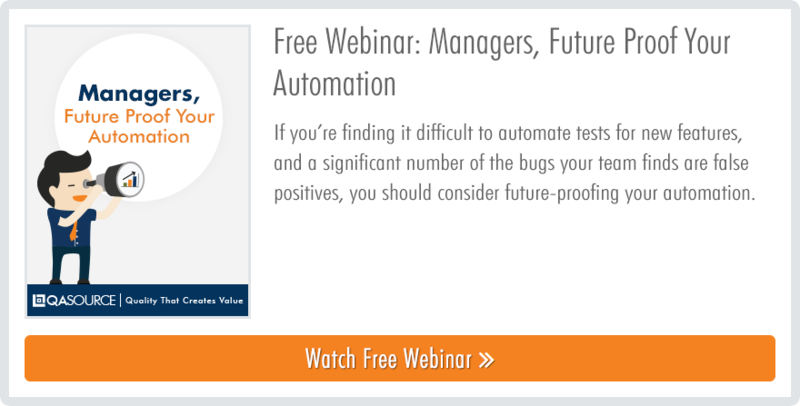 Webinar Questions Answered: "The Future is API Testing - Trends and How to Propel Your Testing"